Lunch is a popular affair at Charlotte Towers in Port Charlotte, where seniors come to eat, socialize and play games for a suggested donation of only $3. Our Charlotte County services are focused on nutritious meals and social engagement, home delivered meals and supportive aging. Hunger is a huge issue in Charlotte County. For many, a visit to one of our dining sites is the only healthy meal of the day, as well as their only social connection. Check out Services for details about all of our programs. Through the ACCESS Florida program, elders can receive access to state and federal assistance programs and benefits, such as food stamps and Medicaid, by applying online. If you need help with your electric bill and someone in your home is 60 years of age or older, you may qualify for help from Florida’s EHEAP (Emergency Home Energy Assistance for the Elderly Program). For these services, call us at 941.255.0723 or call the Elder Helpline at 866.413.5337. Enjoy a meal in a friendly social setting for the 60+ crowd at our five dining sites in Port Charlotte, Grove City, Harbour Heights, Rotonda West and Punta Gorda. In addition to a nutritious lunch, you can participate in healthy aging activities, including cards and games and educational talks. Dining sites are open five days a week from 10 am to 1 pm. and a donation of $3 is suggested to help cover the cost of the meals. 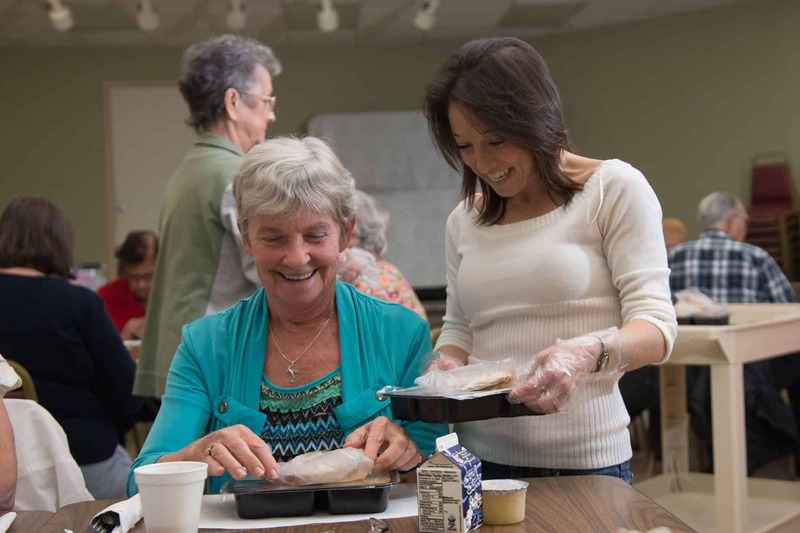 While no one is denied a meal if unable to pay, the contribution helps us provide more meals for older adults in Charlotte County, where the need is great. Check out our Charlotte Calendar for schedule, or visit Nutrition & Dining. Friendship at Home pairs volunteers with isolated elderly residents who are physically unable to care for themselves and lack the support they need. The program enables elders to remain in their homes with dignity and independence. Friendly visitors brighten the life of an isolated older adult with a weekly visit, while Telephone Reassurance is a lifeline to older adults who are homebound and alone. To learn more about this service, call our community enrichment coordinator at 941.255.0723. Nutritious meals delivered to your door can make all the difference in the world if you become unable to cook for yourself or if you simply want to be assured of a healthy meal. Many people find it difficult to shop, navigate the store aisles or decide what to buy on a limited budget. Our home delivered meals are developed by a licensed registered dietician to meet one-third of the recommended daily nutritional requirements for older adults. If you are interested in receiving home-delivered meals, call the Elder Helpline at 866.413.5337.